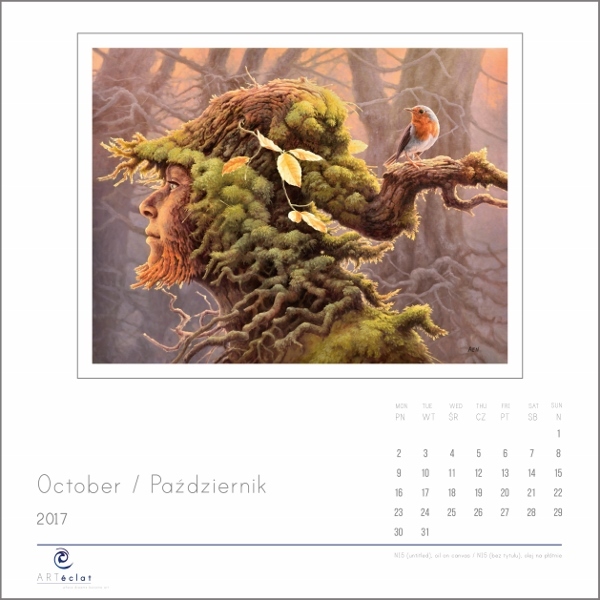 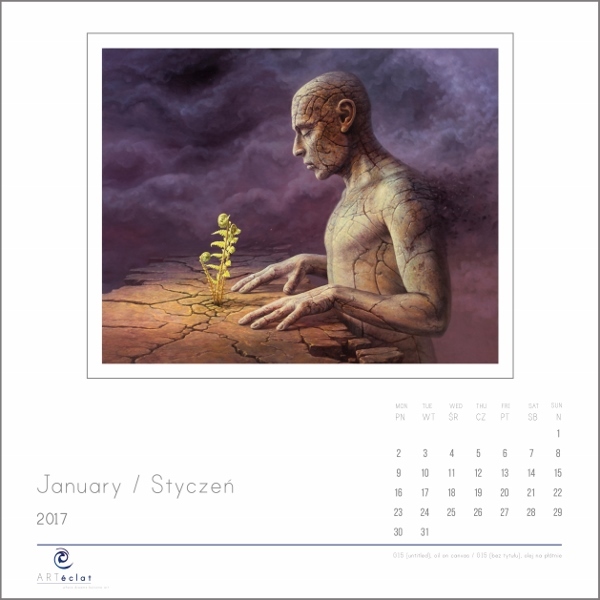 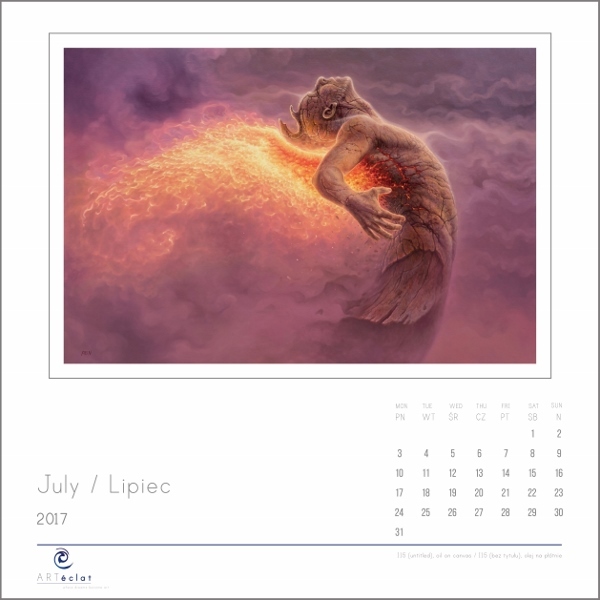 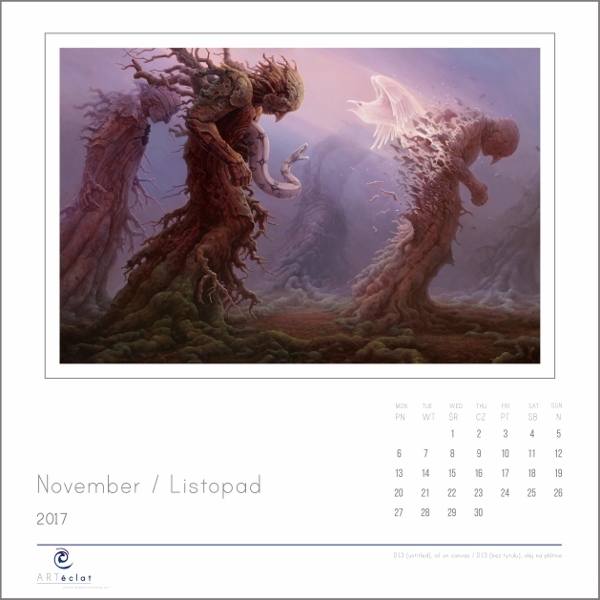 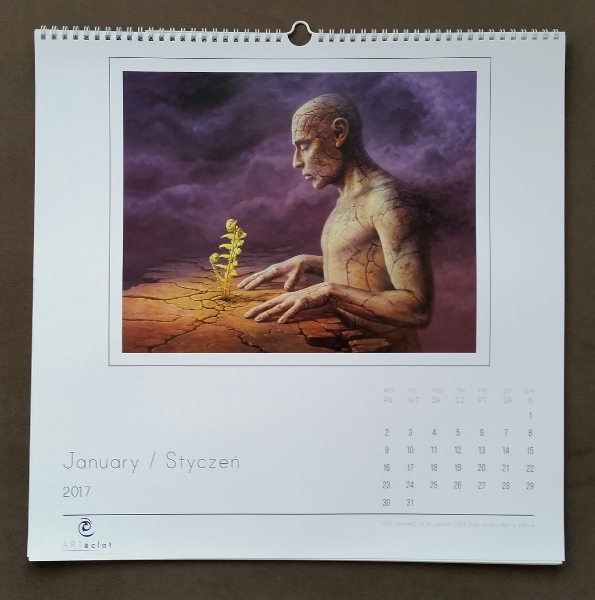 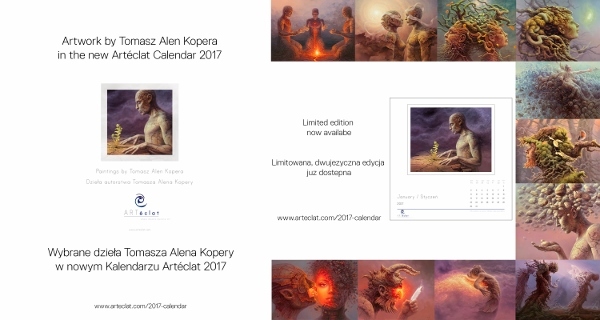 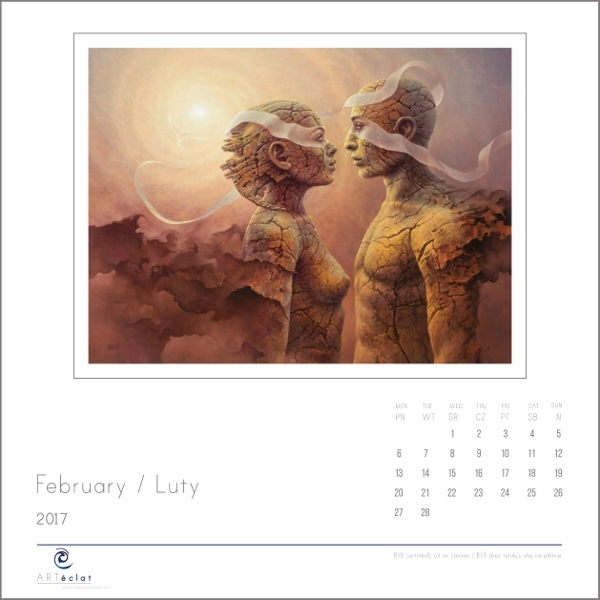 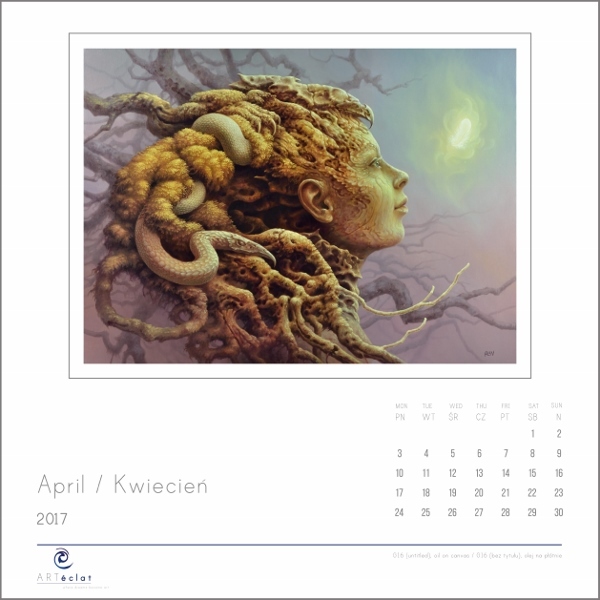 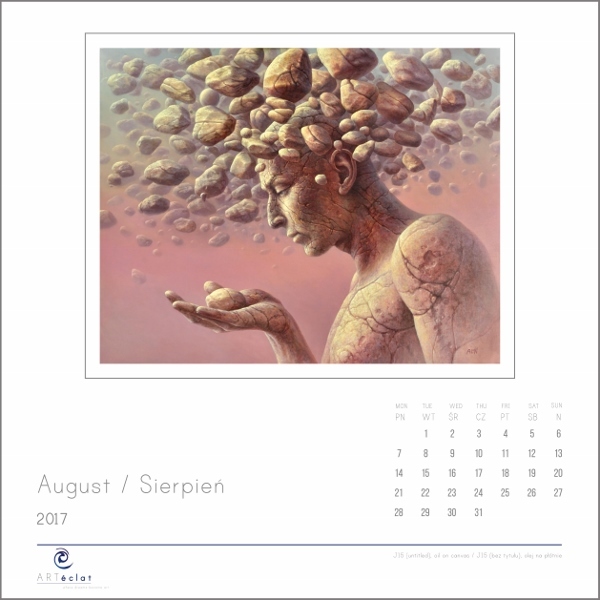 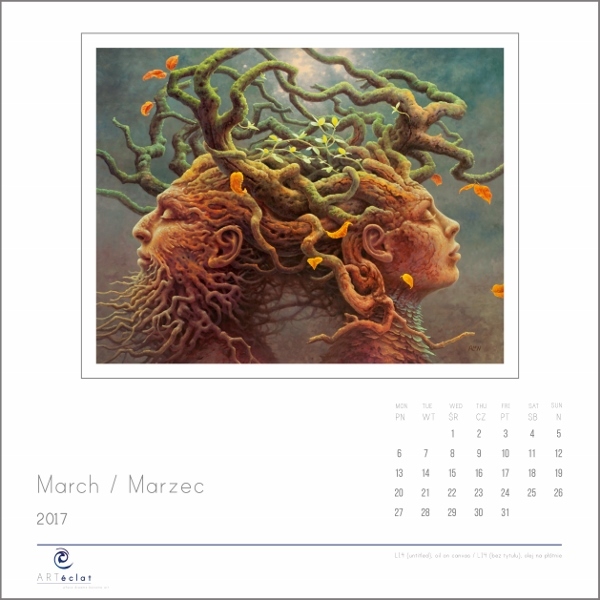 Artéclat Calendar for 2017 with a collection of paintings by Tomasz Alen Kopera. 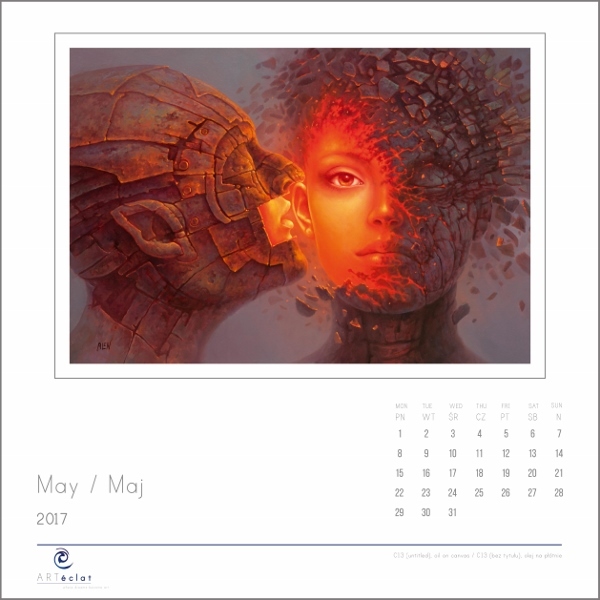 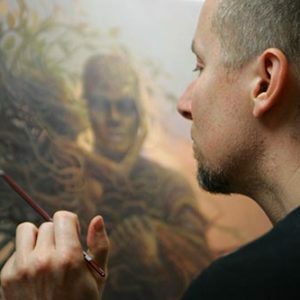 Artéclat Gallery is presenting for the first time this very special 2017 wall calendar with a collection of paintings by Tomasz Alen Kopera. 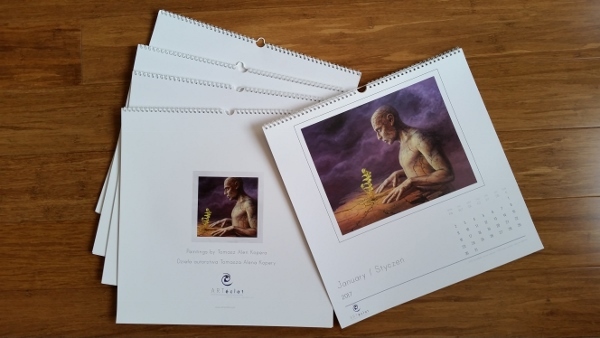 Large format (42 x 42cm; 17″ x 17″), 12 page calendar with each month on a separate page. 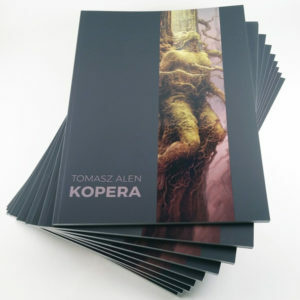 Beautifully composed and printed in the highest quality. 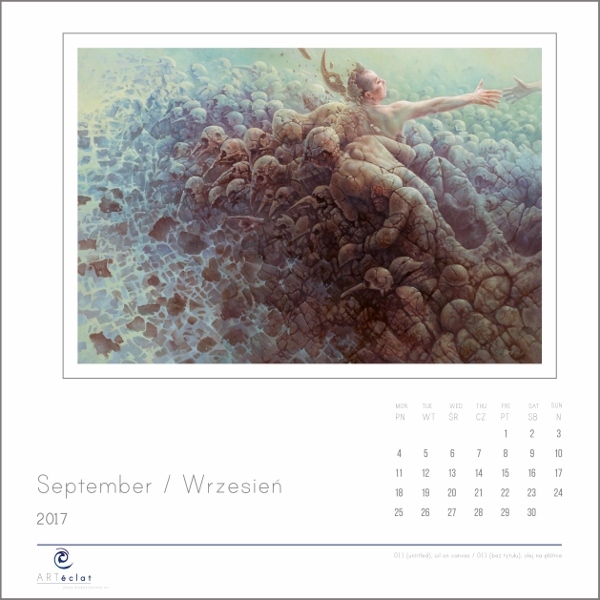 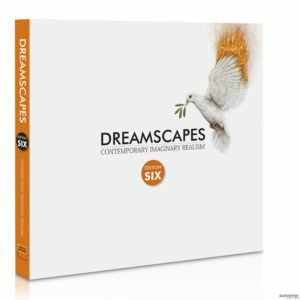 This limited edition calendar (only 250 prints) will look great on your wall. 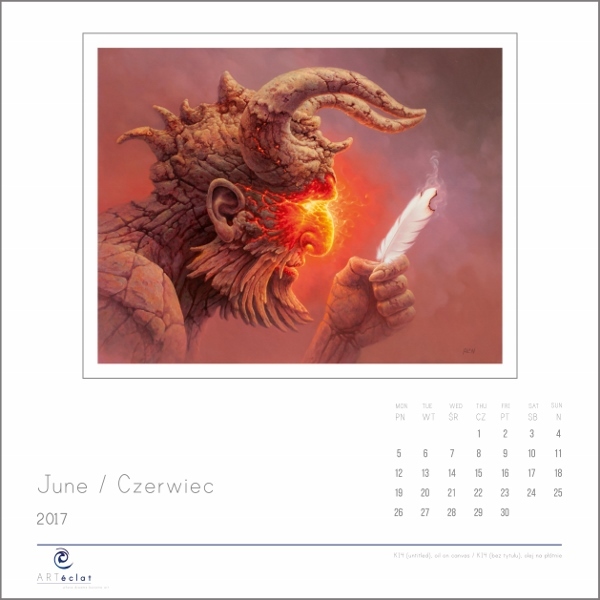 It is also a perfect present for someone you like. 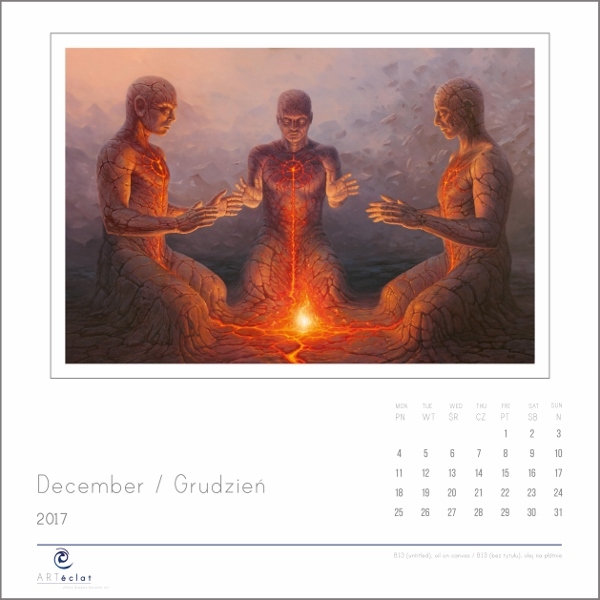 The cost of the calendar is €15 (now €12 after 20% discount) + shipping.